San Diego, CA – Goal Structured Solutions (GS2) is pleased to announce that The FAQS Student Loan Program has recently added the University of Rochester’s Simon School of Business for the 2012/13 academic year – the second new school enrolled in the program in the last 45 days. The FAQS program enables schools of all sizes to establish or expand their global footprint, build or enhance their brand overseas, and recruit and retain the best and brightest students from around the world by providing international students with the financing for their college education through a program supported by best-in-class student loan providers. By removing the financial barriers for these students, the goal of advancing their education can be achieved. The FAQS Program was established in 2011 to help international and domestic students finance the cost of their college education. No co-signer is required and even students without a U.S. credit history are eligible. The FAQS Program participants are some of the leading institutions in their field and include Moehn Management, Inc., Goal Structured Solutions, Liberty Bank N.A., the Pennsylvania Higher Education Assistance Agency, and UBS Securities LLC. To learn more, contact: Kevin Moehn, CEO, Moehn Management, Inc. at [email protected] or (571) 313- 1307. GS2 is an award-winning, employee-owned education finance asset management company. GS2 has been working collaboratively in the student loan industry for more than a decade to provide customized products and services for education financing. GS2 manages more than $25 billion in student loans (both private and federally guaranteed) for its clients and partners. GS2 performs services for schools, investors, banks, and hedge funds, helping them manage their returns and asset performance more effectively. 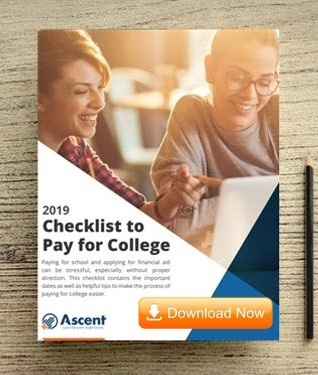 In addition to The Ascent Program for Funding Education, GS2 provides a comprehensive line of products and services including trust administration, loan and receivable purchasing, student loan special servicing, capital market advisory services, and private student loan originations. Goal Structured Solutions, Inc. is headquartered in San Diego, CA. For more information, visit www.goalsolutions.com. Next Which Credit Cards Give Free FICO Scores?